­The impromptu demonstration on Wednesday evening was gathered through social networks. Residents of the Mitino district came to voice their fears over the plans to build a Muslim cultural center and mosque in the neighborhood, which would be able to accommodate up to 60,000 believers during a service. The would-be Muslim prayer house is subject to much speculation, even though construction project is far from being finalized. The rumor mill describes it as “a 13-story mega mosque,” which would broadcast calls to a morning prayer all over the neighborhood. The protesters living in the residential area were concerned that its infrastructure would not be able to deal with increased traffic after the mosque is finished. This would result in terrible traffic jams during Friday prayers and large Muslim holidays, they said. 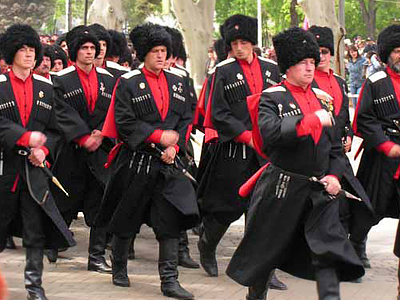 There are also fears that the inflow of worshipers, many of whom would be guest workers from Central Asia seeking their fortune in Moscow, would drive up crime rates. 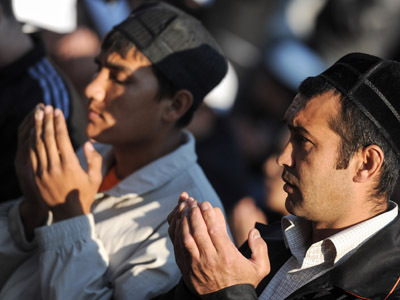 Disaffection towards Muslims was evidenced in some online comments on the event. “I am firmly against it! We are flooded with those aliens, and now they want to have this insult standing virtually under my window… Let them build it outside of Moscow. There is plenty space there, so they all shove off there,” one of the comments read. People at the rally were less categorical, at least in terms of acknowledging Muslims’ needs. one of the demonstrators told Vesti FM radio station. ­The rally lasted for about two hours. People, who came in their hundreds, signed a petition against the construction project and voiced their concerns to municipal officials, who came to try and alleviate fears. 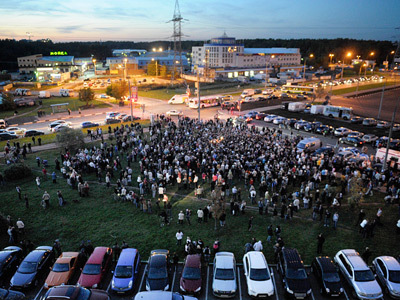 Despite attempts by the prefect of Moscow’s North-Western administrative area, where Mitino is located, to curb the public outcry, the crowed remained adamant. “There are quite a lot of Muslims living in our area. They too need a spiritual place, a mosque. We cannot deny them,” Vladimir Gorovetsky said, as he answered questions from readers of the Moskovsky Komsomolets newspaper. However, on Thursday, it was announced that the Muslim cultural center will not be built there. ­The demonstration was not sanctioned, but some 100 police officers present turned a blind eye on the fact and did not try to disperse the crowd. Four people were briefly detained for disturbing behavior. According to blog accounts, three of them were activists of nationalist movements who picked up the news and came to the rally from other Moscow districts. ­The plans to construct more mosques to accommodate the needs of several million Muslims living in Moscow have been discussed by the city’s authorities for quite some time. The Russian capital has only four mosques at present, which is evidently not enough. 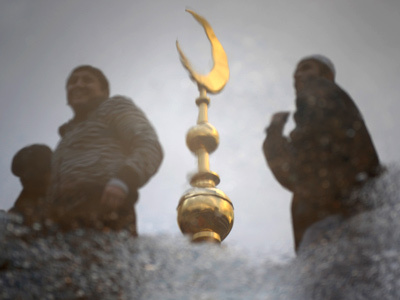 There has been tension for years over how Moscow Muslims celebrate major holidays, which include mass praying in the streets and slaughtering of animals for a feast. Less-tolerant Muscovites are objecting to what they see as an invasion of foreign culture into their lives, and it is a difficult task for authorities, religious leaders and civil rights activists to find common ground on the issue. Moscow wanted to construct a mosque in another district back in 2010, but the project was stalled due to public resistance.